The European Union faces an existential crisis of dramatic proportions, occasioned by Brexit; nationalism and populism in several member states; internal sclerosis; and challenges from a chaotic international system created in large part by Donald Trump. At such a time of deep uncertainty it behooves us to remember that the EU still possesses some resources to counter internal and external challenges and to help shape Europe’s future. Chief among these is the Franco-German couple. At every stage of European integration from the founding until today, France and Germany have worked together to initiate or respond to ideas for forward movement, ranging from economics and finance to constitutional issues to common foreign policy. Often, there were major disagreements between France and Germany at the outset, but through persistent negotiation they were able to craft compromises and develop joint proposals. This pattern of initial division and final unity is still apparent today as recognized by German chancellor Angela Merkel (“We do not always agree in the beginning”) and French finance minister Bruno Le Maire (“friendship is also about acknowledging divergences”). The efforts of Angela Merkel and Emmanuel Macron to provide a “road map” for the future of Europe became moribund when Germany was presided over by a six-month caretaker government, but by March 2018 and the chancellor’s swearing in for a fourth term, negotiations picked up. Some issues were tough (Eurozone reform and migration), whereas others were easier (defense and trade). The negotiations concluded in the June 2018 Meseberg Declaration, in which, among other things, Germany and France reached agreement on creating a European Security Council; on strengthening the EU’s external borders; on establishing a Eurozone budget; and on standing together for free trade. Merkel acknowledged the couple’s potential in general for influencing the EU: “Europe must provide a united front … When France and Germany propose things, they have a good chance of happening.” The late June 2018 summit meetings in Brussels were a first step in forging joint EU policies on the four areas of the road map. There were agreements on migration, security and defense, trade, and the Eurozone, but, judging by the preponderance of generalities over specifics in the European Council and Euro Summit conclusions, the path to a unified stance is far off. However, historical experience of Franco-German influence on EU action suggests progress comes in the long term. Historical experience of Franco-German influence on EU action suggests progress comes in the long term. The ability of France and Germany to arrive at joint positions—thereby limiting some of the multilateral divergences in the EU, setting various agendas, and initiating policy debates—derives from the nature of the duo and the bilateral habit of reconciliation. Over more than seven decades, France and Germany have built up a strong framework of interaction that can withstand crises. The overall centrality of the relationship for both sides is demonstrated in the shorthand fact that both Merkel and Macron visited the other country immediately after their inaugurations. There are three hallmarks of the Franco-German edifice: robust institutions; engaged civil society; and active leadership. “Institutions” embraces the establishment of actual organizations as well as the initiation and regularity of meetings and exchanges; it also covers the resulting policy activity. The breadth and depth of the institutional relationship began with the signing of the Elysée Treaty, generally viewed as the codification of the reconciliation that had started already in 1945. The January 1963 treaty and its 1988 renewal gradually provided for an array of bilateral institutions in defense, economics and finance, youth exchange and culture, and a multitude of joint policies and activities. Earlier this year, on the occasion of the 55th anniversary of the treaty, Merkel and Macron, as well as the two parliaments, committed themselves to preparing a new treaty that would consolidate, update, and expand joint activities. For some years now, France and Germany have organized joint cabinet consultations. In addition, ministers from one of the partners have participated in cabinet meetings of the other. There have been joint working sessions of the foreign affairs committees of the two parliaments. France and Germany share some diplomatic and consular activities in third countries. They have joint policies toward third issues, such as Ukraine, Syria, Iran, and Russia, that can involve joint statements and joint visits to the third countries. They have agreed to develop a joint combat jet. They are striving for a coordinated response to Trump’s tariffs salvo. The overall centrality of the relationship for both sides is demonstrated in the shorthand fact that both Merkel and Macron visited the other country immediately after their inaugurations. In the presence of political upheaval and division in much of Europe, the engagement of civil societies becomes ever more crucial as a clear channel for communications between countries. 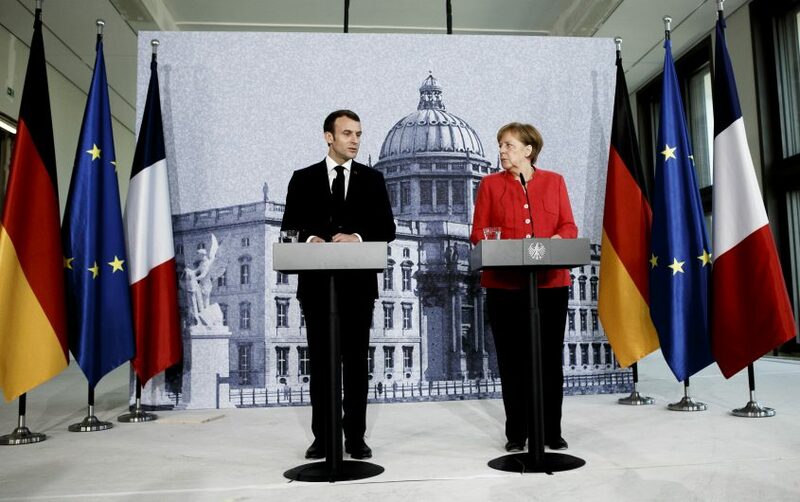 The Franco-German partnership is characterized by a dense and institutionalized network of civil society ties, often deemed “incomparable.” Civil society actors were the forerunners of Franco-German reconciliation before the 1963 treaty and pivotal thereafter. 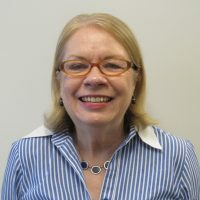 Players include chambers of commerce, school and university partnerships, sister city twinnings, cultural entities, religious institutions, and political parties. Just to give one example, 8 million young people have been involved in Franco-German youth exchange since 1963. There is no guarantee that joint behavior in the EU and robust, institutionalized bilateral ties can win the day at a time of unprecedented domestic and international challenges, but the presence of these Franco-German features at least gives Europe a fighting chance to combat deep uncertainty and dangerous threats.